Prospective authors are invited to submit original papers (not being considered for publication elsewhere) in standard format (that is provided) describing new theoretical and/or experimental research by online as well as offline. For online paper submission kindly go through our website and click on SUBMIT PAPER ONLINE link. www.ijnrd.org. The link “Submit Paper Online” leads you directly to the submission system used by that journal. For offline you can send mail to editor@ijnrd.org with the paper, details about author. How much does it cost to publish in an IJNRD journal? Publication charges are available on our website. (Click Here to Check Publication Charges) If an author has got more than one accepted papers, then authors have to pay the payment as paper wise individual. Authors have to pay the publication fees in the IJNRD Account only OR through our PayUMoney Payment Link. Which services are provided in single paper publishing charges? How much time to take publish the single research paper? Once the author submit the paper to IJNRD, authors got the notification for submission of paper within 1-2 days. Then after we will proceed your paper further for review process. Review process take maximum 5 days for reviewing research article and plagiarism issue. After that we will notify to authors regarding paper accepted OR Rejected. If author got the notification of paper accepted then authors have to pay publication fees and submit the required Document. After receiving the submitted document from the authors to us, we will publish paper within 4-5 days. Entire process for paper publishing take approximate 6 to 10 days. Does IJNRD provide templates and style files for preparing a journal article? IJNRD provide the Paper template for preparing the journal article. Sample paper format is available on our website. Submitted papers need to be in MS Word format with file extension .doc or .docx. Also Authors have to consider following formatting things. 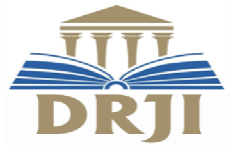 If your article accepted by our editorial committee, you have to pay publication charges and submit the required document by single mail to editor@ijnrd.org within one week. Which document I have to submit the IJNRD after the paper accepted? Note: Please mention your Registration ID in the subject of mail whenever you communicate with us regarding any inquiry related to your research paper publication. IJNRD provide Author’s HOME on website.so the corresponding author can track the article online. Article Tracking will guide you from the moment your article has been accepted until it is published. Every step is described and will let you know whether action is required. Please log in by Paper registration ID and Corresponding authors mail ID to your AUTHOR’S HOME to start tracking your articles. When action from your side is required, this will also be announced by e-mail. Also IJNRD will send the mail for all the status to provided corresponding author’s mail ID. Which information are available on AUTHOR’s HOME? Once author submit the paper to IJNRD, author got the paper Registration id in corresponding author’s mail id. Then after author can log in and check the following information and status about the paper. Can I still make corrections to my article after it has been published online? IJNRD has therefore decided not to make systematic use of the technical possibilities that an online publication offers and not to simply replace a published document with an updated one. After online publication, further changes can only be made in the form of an Erratum, which will be hyper-linked to the article. How I will got the soft copy of certificate, Confirmation letter and published paper? Once your paper will be published, you can directly download the softcopy of the certificate, confirmation letter, and Published paper from AUTHOR’S HOME. Will I got the Hardcopy of the certificates? We will NOT provide Hardcopy of the certificate, Confirmation letter, and published research paper. If author want hardcopy of the Certificate, published Research Paper & Confirmation Letter, then you have to pay Rs.500 extra. We will provide Hardcopy of the documents only for Indian Author or delivery of the document in India only. How many authors will be included in single paper publishing? As per our norms only maximum 3 authors will be allowed for single paper publication. Our charges include only 3 authors per single paper publication. if author want to add more than 3 authors then author have to pay 500 Rs additional charges per additional author. Author have to inform to IJNRD Team regarding number of authors before the paper published. How I Contact to IJNRD? If author have registration ID then kindly mention it in the subject field of the mail.